Every gift is an important vote of confidence in the mission and direction of the school. Participation rates are often used by corporate and foundation donors when weighing competing grant applications. Together, gifts of all sizes from alumni, parents, faculty, staff and friends make a crucial difference in the education of today's students. Leadership donors of $1,000, $5,000, $10,000 and higher make a crucial difference in Rear. Adm. Alfultis' ability to strengthen and advance the college. Contributors at these levels move the needle dramatically, and the Council celebrates and highlights their partnerships with the school. Council members are publicly recognized and thanked in the college annual report, and are invited to special events including ship return and private gatherings with the admiral. Last year the number of alumni and parent donors increased significantly. But we still have a long way to go. 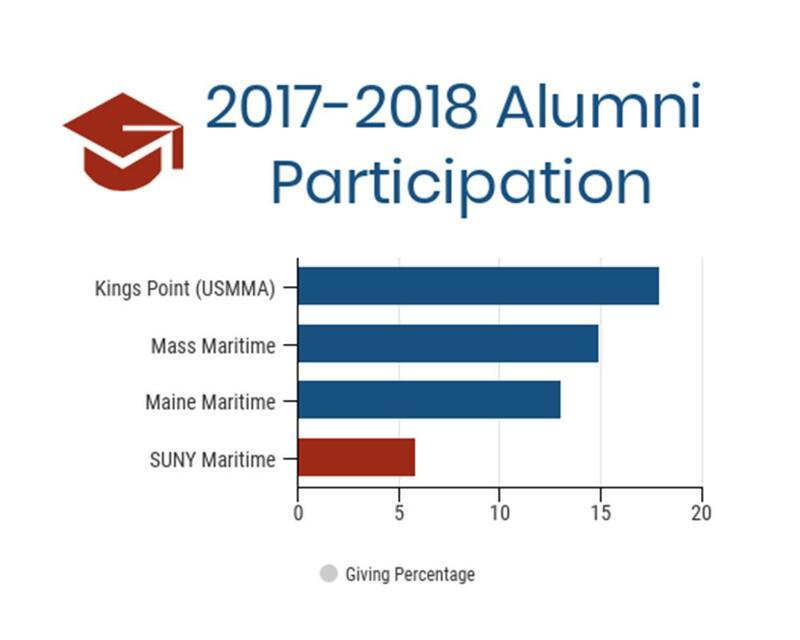 Give today so SUNY Maritime College can be First and Foremost and show your Fort Schuyler pride.